Welcome to the world of Alien Wars - a fantastic Vertical Scrolling Space Shooter game! Leave your fears far behind. Set your mind free. Believe in the endless universe and it will blast in front of your eyes with millions of alien galaxies. 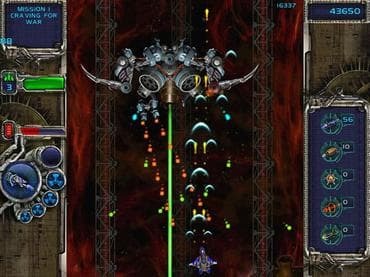 Alien Wars combines all the best features of simple arcade and space shooter. Meet lots of different enemies, destroying armor and as much action as you can only imagine! When running your fantastic space ship you'll have a chance to enjoy beautiful space landscape and listen to the original soundtracks. Alien Wars can absolutely be called a game with a blistering gameplay. Download free full version game and win space battle! If you have questions about Alien Wars game, please contact us using this form.